Player Ratings: Back to back away victories, who delivered the most in gutsy win? 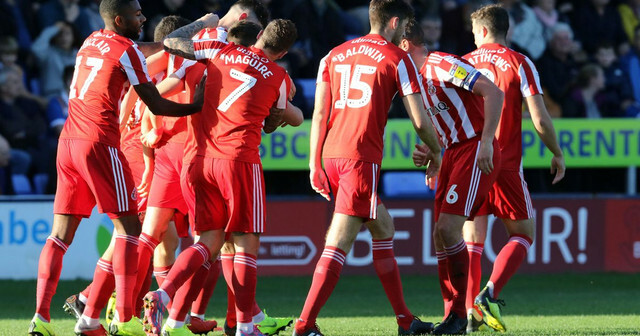 Luke O'Nien, surprisingly, was the only Sunderland player to be on the score sheet after Omar Beckles opened the scoring by putting the ball in his own net. Our player rater is BACK - here's your chance to test it in all it's glory. Give each of the Lads a score out of 10 and help determine the man of the match.